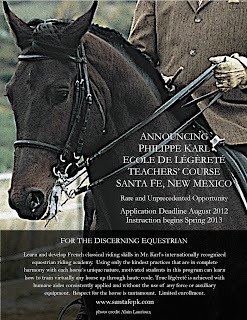 Philippe Karl, renowned in Europe as Ecuyer at the prestigious Cadre Noir in Samaur, France and as a modern day French classical dressage master, has granted authority to two US organizations to initiate and manage separate Ecole de Légèreté (School of Lightness) teachers' courses on his behalf. 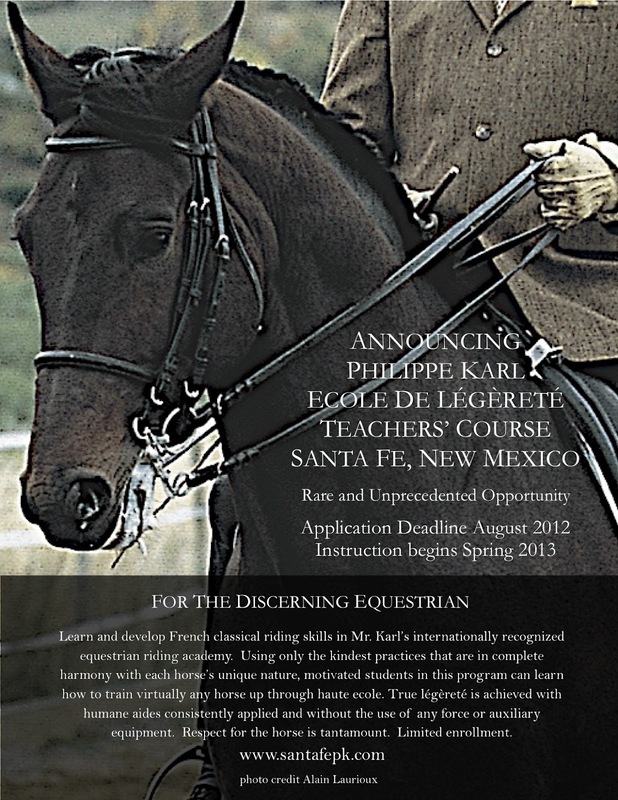 Located in Santa Fe, NM and Shippensburg, PA the US Ecole de Légèreré are accepting rider applications until August 2012 with a projected launch date of April 2013. 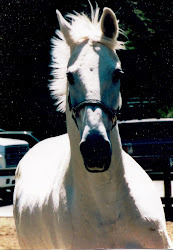 Eight riding instructors will be accepted into each course, and full-course auditors are invited to participate. Single-pass spectators are welcome to attend on a per series basis. At the end of three years, the riders will present their accomplishments during final examinations to Mr. Karl who will, in turn, determine the level of achievement and whether participants may go on to teach as representatives of his Ecole de Légèreré. Full course auditors will receive a certificate of attendance. 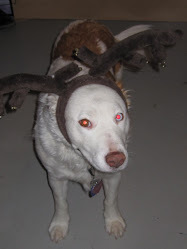 For more information, including application requirements, please visit www.philippe-karl.com , www.santafepk.com or www.pkinpa.com.